Enjoy the holidays with friends and family ice skating on real ice at the ice park at concord mills. the ice park offers an out door covered ice skating rink with over 4200 sq feet of real ice. ice skating is $12 and includes skate rentals. PLUS enjoy the speedpark with go karting on 4 go kart tracks, play 18 hole mini golf and have fun on the spider web, fun slide and bungee jump. get the unlimited wristband for unlimited everything only $45. Ice Skating Rink is located at Concord Mills Mall directly behind the mall outside neighborhood 7 at The Speedpark. Ice Skate anytime the ice rink is open as much as you want. Includes ice skate rentals. Mondays- Mini Golf Monday! FREE Unlimited Mini Golf with the purchase of Ice Skating Ticket. Frozen Fridays- Ice Skate with Olaf from Frozen! Saturdays- Toys for Tots- SAVE $5 off Unlimited Fun Wristband when you donate a new, unwrapped toy or Non- perishable food for the Food Drive. Christmas Day- Tacky Christmas Sweater Day! Get 2 Unlimited Ice skating for $20. ICE SKATING Private Rental-Perfect for Holiday Group Events! Groups can rent the Ice Rink for 2 hours and have it all to themselves! Get unlimited Ice Skating and Ice Skate rentals for your group for $1500. Want to book a private rental for the Ice Rink? Call 704-KART-ING today! This holiday season join us for ice skating on real ice at The Speedpark at Concord Mills. The 5th Annual Ice Park ice skating rink is scheduled to open November 16th through January 21st. Ice Skating is $12 per person and ice skate rentals are included. Plan your holidays with ice skating at The Speedpark. The ice skating rink is an outdoor ice skating rink with more than 4200 sq. ft. of real ice! 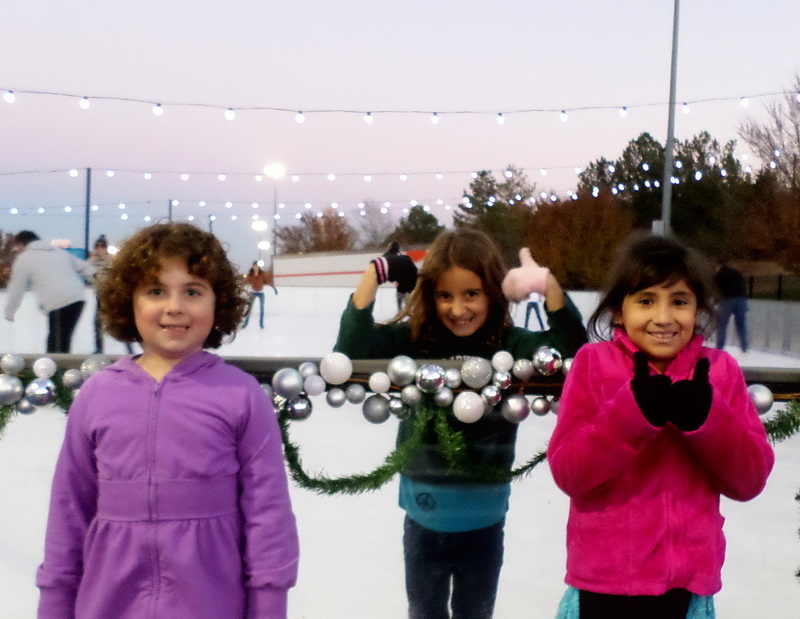 Plan your holiday parties at the ice skating rink or ice skate while others shop at Concord Mills! Buy your tickets here on the website to avoid the lines. The Ice Park is located at Concord Mills Mall, in Concord NC outside behind the mall at The Speedpark. Just a short drive from Charlotte to skate on real ice!